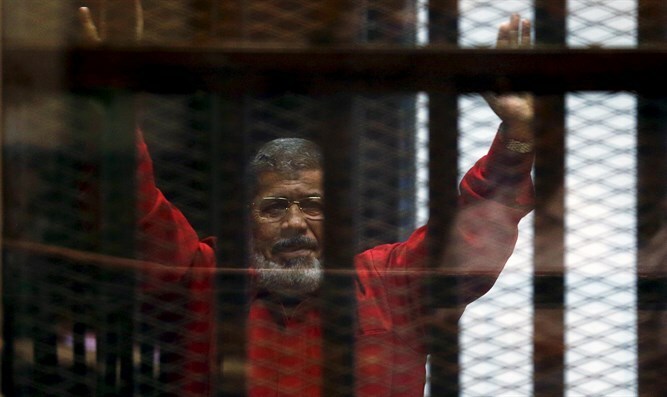 Court in Egypt upholds life sentence against Mohammed Morsi on charges of spying for Qatar. A court in Egypt on Saturday upheld a life sentence against the country’s former Islamist president Mohammed Morsi on charges stemming from a trial over spying for Qatar, a judicial official and his lawyer said. The court of cassation upheld a life sentence first passed in June 2016 on the charge of leading an illegal group but threw out a 15-year sentence on the charge of having stolen secret documents, his lawyer Abdel Moneim Abdel Maqsud told the AFP news agency. A life sentence in Egypt amounts to 25 years in prison. The court's rulings cannot be appealed. Morsi, Egypt's first democratically elected president, was overthrown by the military in July of 2013 following mass protests against his rule. On Saturday, the court also upheld death sentences for documentary producer Ahmed Ali Abdo, EgyptAir cabin crew member Mohamed Adel Kilani and university teaching assistant Ahmed Ismail Thabet, as well as a life term and 15 years for two others, an official told AFP.